Alaska State Troopers said an Anchorage woman missing in Delta Junction since Saturday was found by a camper. Tatyana Ionashku, 23, is safe and with her family after a man camping on the Gerstle River found her. He gave her food, warmed her up and returned her to her family, the agency said in a public notice. 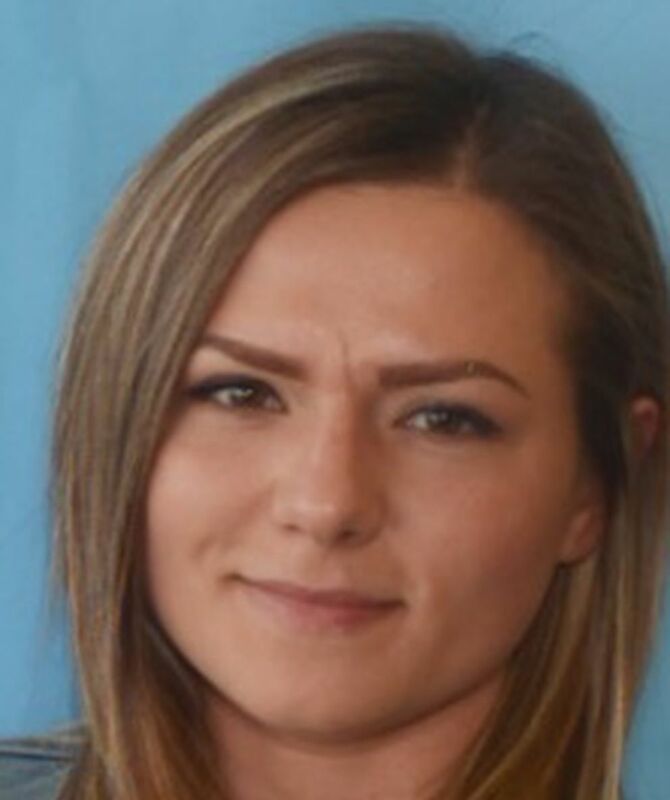 An Anchorage woman is missing in Delta Junction after she reportedly hit a parked car early Saturday morning and then ran away when confronted by the vehicle owner, Alaska State Troopers said. 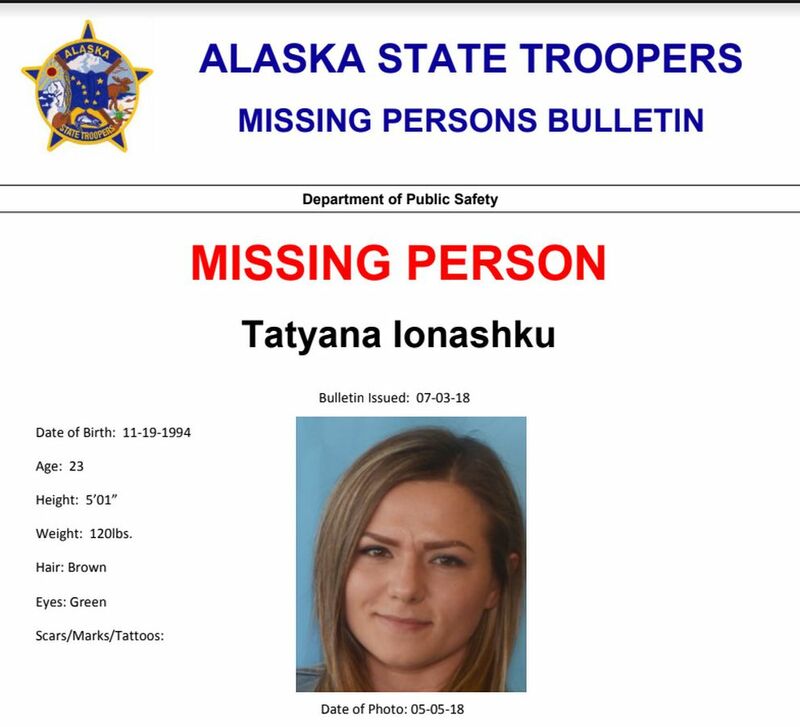 Tatyana Ionashku, 23, of Anchorage, was reported missing on Sunday. Family reported to troopers that she hadn't been seen for a few days, and that she had missed work. Around 3:30 a.m. Saturday morning, Ionashku was driving in the Interior Alaska community of Delta. She was near the intersection of Souhrada and Remington Road when she hit a parked car, troopers said. The car owner came out of his house and confronted Ionashku, troopers said. Ionashku reportedly took off her high heeled shoes and ran away, taking her cell phone with her, but leaving her vehicle and purse, said trooper spokesperson Megan Peters. The man figured out that he knew Ionashku's family, and contacted them to say that her car was at his home, Peters said. Troopers and PAWS Search and Rescue looked for Ionashku in the surrounding area, Peters said. She may have been picked up by a passing motorist, troopers said. Anyone with information about Ionashku's whereabouts is asked to called troopers in Delta at 907-895-4800. Correction: An earlier version of this story misspelled Remington Road, where Ionashku was seen on June 30.